For monitoring railway tracks where there is surrounding building work e.g. bridge and tunnel construction, pressure grouting of railway lines, etc. 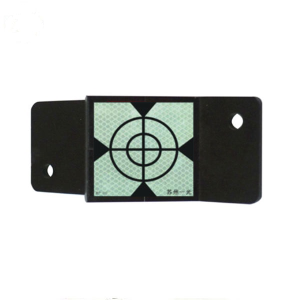 Crosshairs are imprinted on the backing plate under the exact centre of the reflective target to ensure the survey point is durably marked. If the reflective target is damaged at any point, it can easily be replaced and the original survey point can be restored quickly, easily and cheaply.